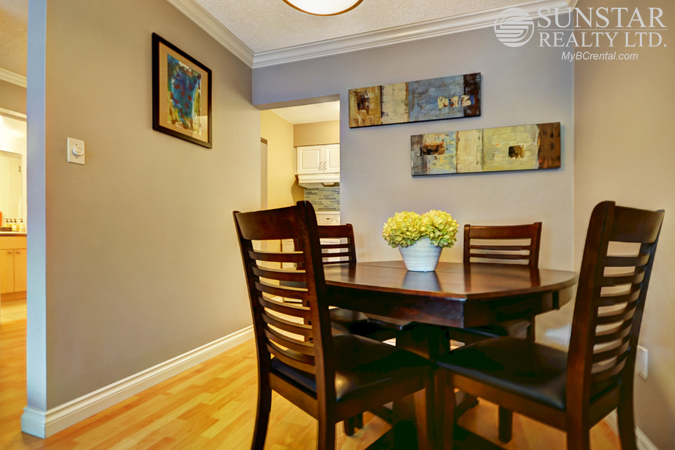 West End 1 Bedroom Furnished Condo w/ Balcony @ Regency Terrace - $2295 — Lynn Swanson At a glance guide to all currently available fully furnished properties managed or represented by Sunstar Realty Ltd. 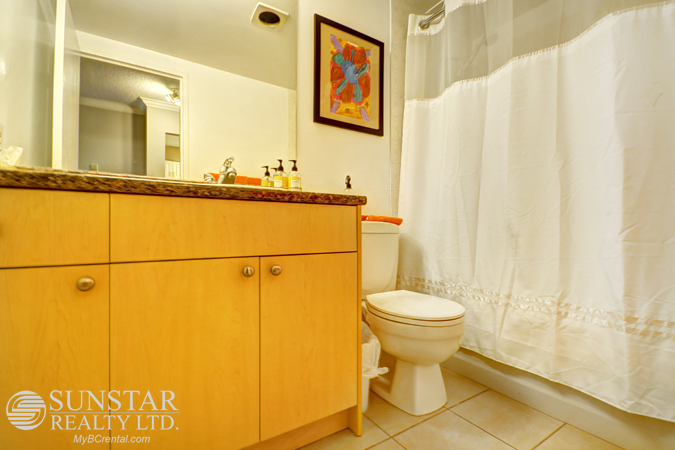 Included items: hot water, heat, electric, basic cable, high speed wireless internet. Not included: telephone, laundry (coin laundry in building), cleaning & move-out clean. 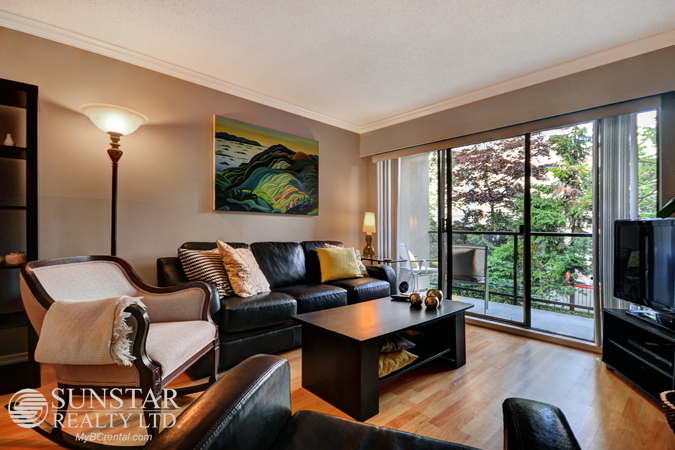 LOCATION: Exquisite location in the heart of the West End! 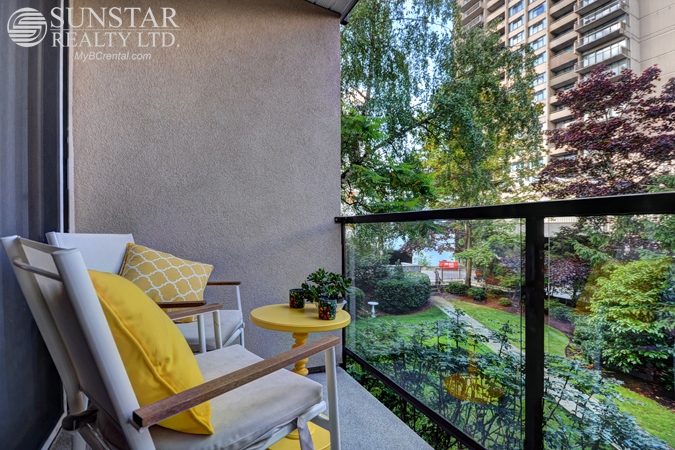 This jewel of a suite is walking distance to too many amenities to list, such as next door Joe's Market (full discount grocery), Starbucks, West End Community Centre and Denman Racquet Club fitness facilities. Drop in to the Dover Arms/Central Bistro, The Comox Bar or Sylvia Hotel for night spots with live entertainment. Stroll down quiet tree lined Nelson street to Stanley Park tennis courts, Pitch and Putt and The Fish House (4 blocks walk). Walk South along Bidwell to the beach and Aquabus (20 mins walk) which scoots you across the harbour to Athlete's Village, Yaletown, Granville Island and Kits Beach for another adventure. There are any number of things to discover on foot or on bike from this area. Of course, transit is steps away. FEATURES: Just the right size for one or two people. Stylish 562 square foot 1 bedroom in the coveted West End neighbourhood. 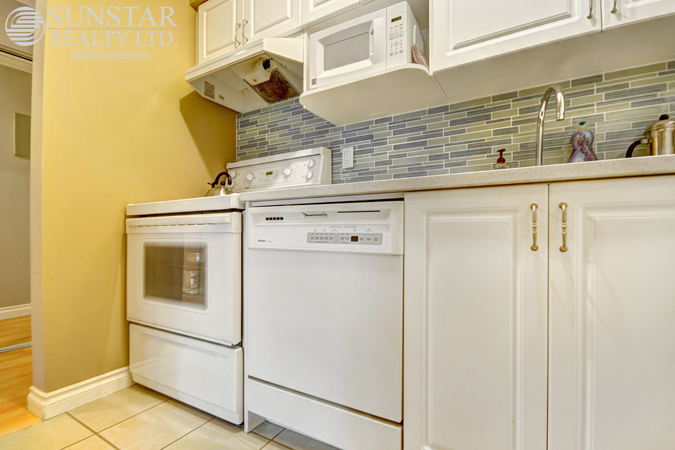 The suite has been recently renovated to include hardwood laminate flooring throughout, stone composite counters in kitchen, pretty tile backsplash, completely outfitted kitchen with dishwasher, electric range, hot water heat (and heated bathroom floor). Balcony with view over the courtyard. Queen size bed in a decent sized bedroom. Dining table to seat 4. Everything you need and so well located! 1 underground parking spot. Hard to find location in the desirable West End. 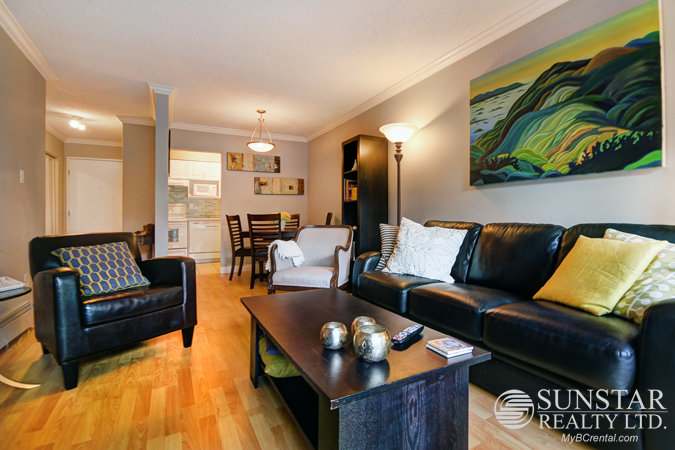 West End Furnished Condo - Sunstar Realty Ltd.